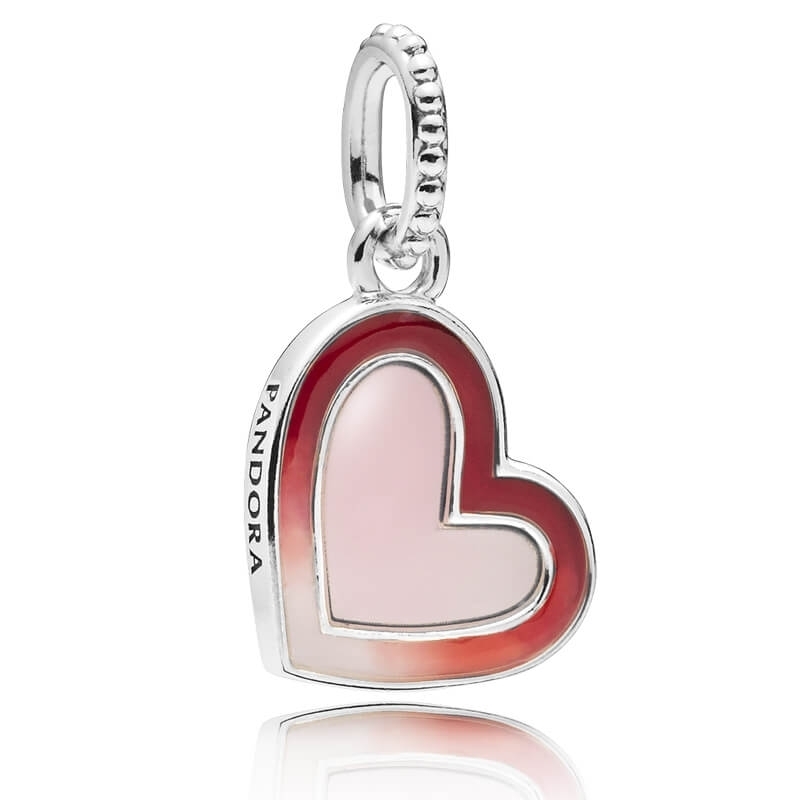 PANDORA Asymmetric Heart of Love Pendant Charm. Made from sterling silver with hand-applied pink and red shaded enamel, this pendant is suitable for a necklace or bracelet. The modern asymmetric twist on the heart shape is the perfect reminder that love comes in many shapes and sizes. Engraved on the reverse side with 'Loved'.